“You are diagnosed with coronary heart disease”. When the doctor says these words to you or your loved ones, it would be confusing and frightening. You probably have ample of queries buzzing in your mind. This is a niche where you get answers to all your queries. Coronary heart disease (CHD) has become a leading cause of mortality in India and across the world. According to the recent research conducted by Global Burden of Disease, one-fourth of all mortality is attributable to CHD. Also, the report says due to CHD and stroke over 80% of CVD deaths are taking place globally. In Few countries, 23.5 percent of all deaths were caused due to the Coronary Heart Disease. As per the Centers for Disease Control & Prevention (CDC), every year around 735,000 Americans have a heart attack. Citing the alarming count of people getting affected with coronary heart disease, it becomes vital to have insight about its symptoms, causal factors, treatment and prevention. 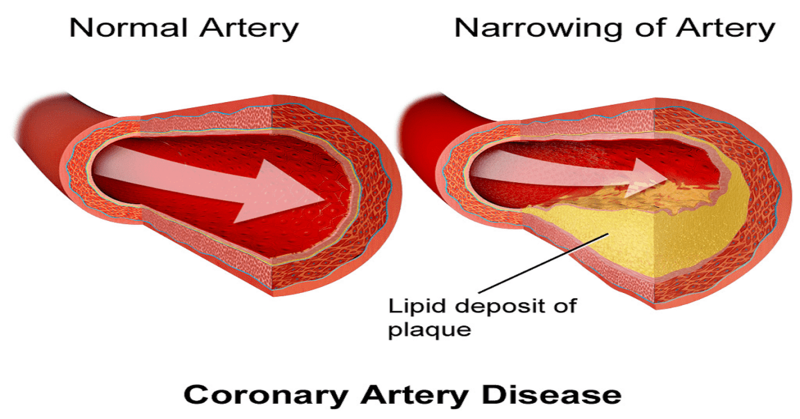 Coronary heart disease means narrowing of coronary arteries – blood vessels that supply blood and oxygen to the heart. It is also known as ischaemic heart disease or coronary artery disease. CHD is a chronic illness seen in both men and women. Usually, Coronary heart disease (CHD) occurs when cholesterol gathers on the walls of the arteries, forming plaques. The narrowed arteries, reduce the flow of blood to the heart, and sometimes even a clot can block the blood flow to the heart muscle. Non-obstructive coronary artery disease, with arteries that unsuitably malfunction after branching tiny vessels, or are squeezed by the heart muscle. Angina-a chest pain or uneasiness occurs when the heart muscle doesn’t get enough oxygen-rich blood. Individuals suffering from Angina may even feel pressure or squeeze in the chest, shoulders, neck, jaw, arms, or back. Also, it feels like indigestion. The severity of pain increased with activity and decreased with rest. Shortness of Breath-due to heart failure. Heart fails to pump enough blood and fluid builds up in the lungs, making it difficult to breathe. Not every individual suffering from CHD has the same symptoms, and some people may not have any prior to CHD is diagnosed. Discomfort in the upper part of the body such as one or both arms, neck, and Upper part of the stomach, back, jaw. When arteries get damaged, the plaque starts developing, and hardens or ruptures. The coronary arteries becomes narrow because of hardened plaque and decreases the flow of oxygen-rich blood to the heart, resulting angina. The rupturing of Plague cause blood clots, which can further narrowed the coronary arteries & worsen angina and can even leads to heart attack. Though, it’s difficult to believe, the fact is Coronary Heart Disease cannot be cured, but thanks to today's technology, because of which it can be managed efficiently. CHD Treatment involves lifestyle changes, cardiac rehabilitation, medications and possibly some medical procedures, surgeries. Angioplasty is one of the most effective treatment method for this disease. In this method balloons and stents are used to narrow heart arteries. Changes in Lifestyle such as Heart-healthy eating, stress management, maintaining a healthy weight and doing physical activities. After getting diagnosed with Coronary Heart Disease it is difficult to recover from it completely. However, by following few preventive measures you can promote the recovery of your health during undergoing treatment and also avert from further worsening. One of the main method to overcome CHD is to lead a healthy lifestyle, as this keeps your arteries strong and clear of plaques. So, this is all about Coronary Heart Disease. Learning about it will definitely help you or your loved ones in combating it. Here is the list of foods which helps in lowering cholesterol levels and keeps heart healthy.